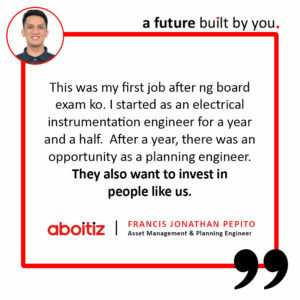 From our beginnings in the 1800 through our incorporation in 1920, the Aboitiz journey from a small family business to being one of the largest and most respected business groups in the Philippines is a testament to its solid foundation built on trust, fairness, integrity, and quality. Want to know more? 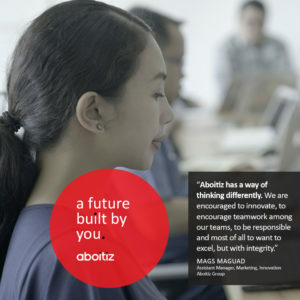 The Aboitiz Way is a system of values and beliefs that form the distinctly unique and strong culture ingrained in our organization and ultimately, is the key to the success of our enterprise. Our actions and decisions are anchored on our time-honored values of integrity, teamwork, innovation, and responsibility. Our purpose is the why that serves as our lighthouse and north star. 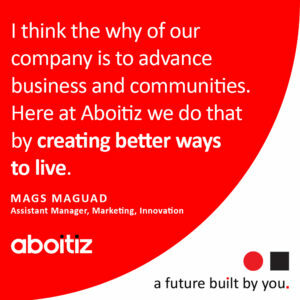 Across the Aboitiz Group, we focus on achieving our purpose to drive change for a better world. 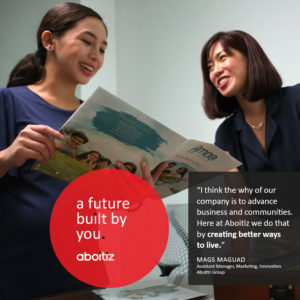 At Aboitiz, we focus on achieving our purpose to drive change for a better world by advancing business and communities. 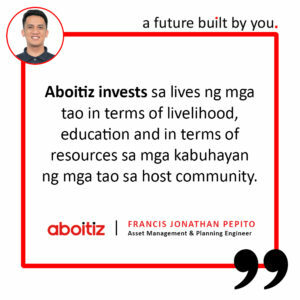 We are committed to making Aboitiz a truly sustainable enterprise that we can entrust to future generations. 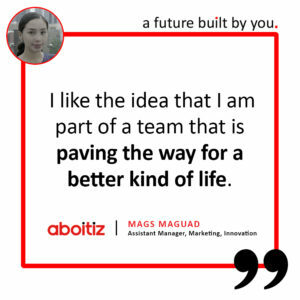 When you join Aboitiz, you join one of the country’s most enduring business groups and you become part of a family. Here, you will find a sense of belonging as part of a team helping each other achieve excellence together for the long haul. 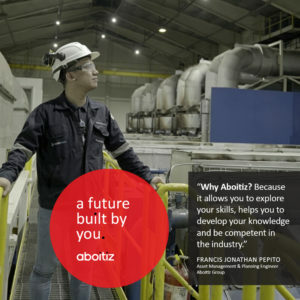 At Aboitiz, the strength of one is the strength of all. 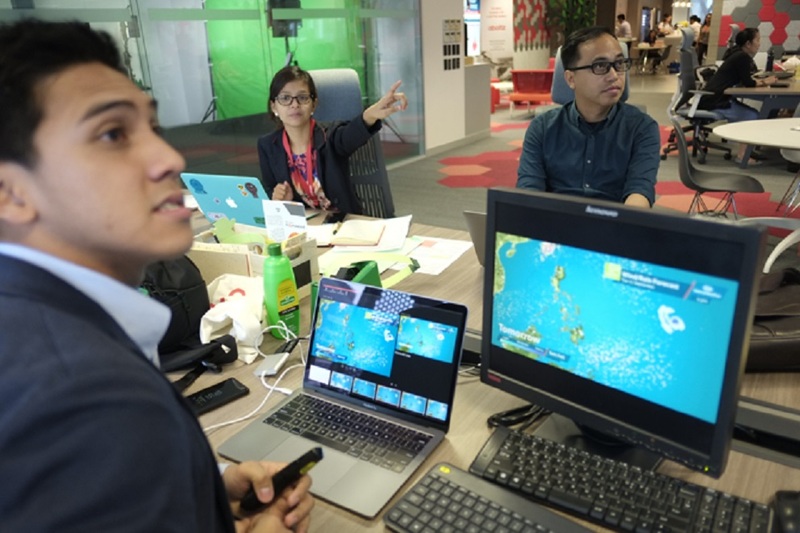 Aboitiz challenges you to work on projects across the Philippines and overseas, and make a positive personal contribution to advancing business and communities. 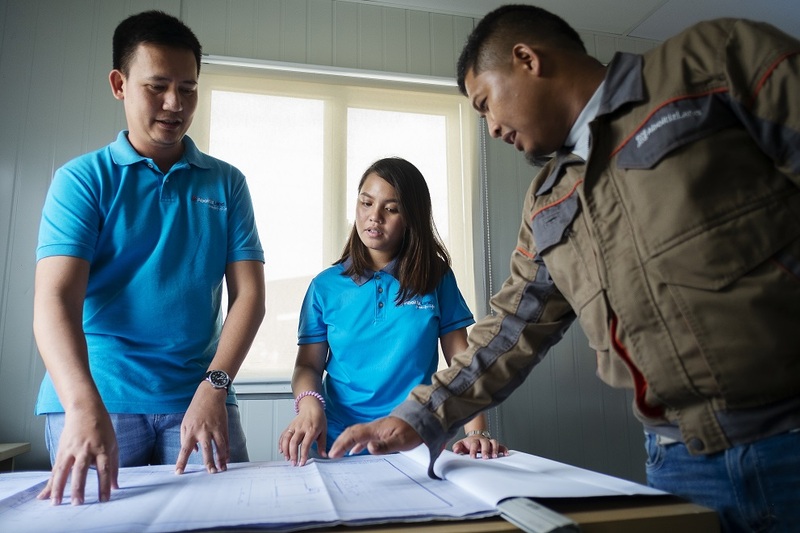 We offer fulfilling careers rooted in a sense of belonging and purpose. Here, you will face the refreshing challenge of working to better people, planet and profit. 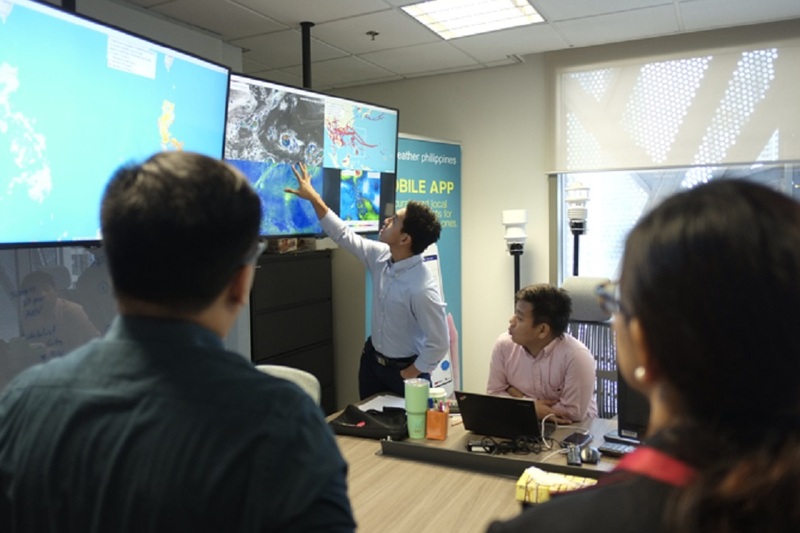 Growth is a constant pursuit for us at Aboitiz. We set you up for personal development without boundaries and help you move between roles, industries and locations. At Aboitiz, the only limit to your growth is you. When you join Aboitiz, you join one of the country’s most enduring business groups and you become part of a family. Here, you will find a sense of belonging as part of a team helping each other achieve excellence together for the long haul. 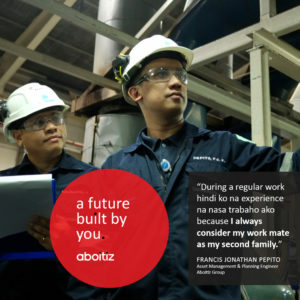 At Aboitiz, the strength of one is the strength of all.